Black to move and mate in 5! No trickery here, just a normal chess puzzle. Black's pawns cannot get into that position without capturing some of White's pieces, but all White's pieces are on the board. 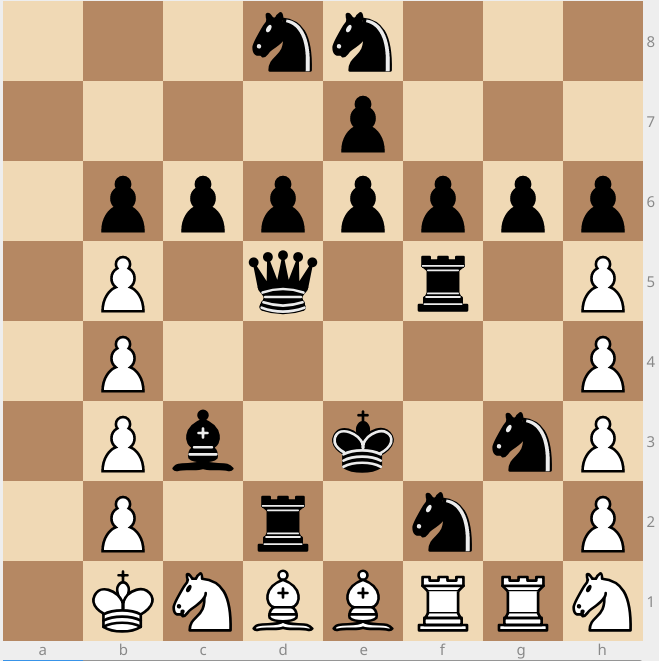 Similarly, White's pawn structure requires several captures (min 6) but Black retains all their pieces except one bishop. Are captured pieces/promoted pawns returning from beyond the board? Not the answer you're looking for? Browse other questions tagged no-computers chess seasonal or ask your own question. Why isn't this chess puzzle trivial?